A philosopher of unmatched influence in Eastern civilizations, Confucius was a teacher and minor government official whose philosophy has been immortalized in The Analects, a collection of sayings attributed to him and his disciples. The Analects offers insight into a wide variety of subjects, including government, personal conduct, warfare, family, and the spirit, and has been subject to diverse, and even completely opposite, interpretations over the centuries. In spite of attempts to modify or corrupt its doctrines, Confucianism has endured as the foundation of philosophy and religion in China and is an integral element of the national identities of Korea and Japan as well. Self-Taught Scholar. The job of Confucius’s biographers has been considerably difficult due to the muddled accumulation of stories about the great sage. It is generally believed that Confucius was born in the state of Lu during the Chou dynasty. His given name was Kong-Qui, but his disciples called him ‘‘Kong the Master,’’ which was Latinized into ‘‘Confucius’’ by Jesuit missionaries. Confucius was three when his father died, and twenty- three when his mother died. By the age of fifteen, Confucius had decided to become a scholar, and he began to educate himself in music and ancient history. Confucius’s first occupation appears to have been as supervisor of the granary in Lu. Some accounts say that Confucius married when he was nineteen but divorced his wife four years later so that he would have more time for his intellectual pursuits. He had one son. Political Ambition. 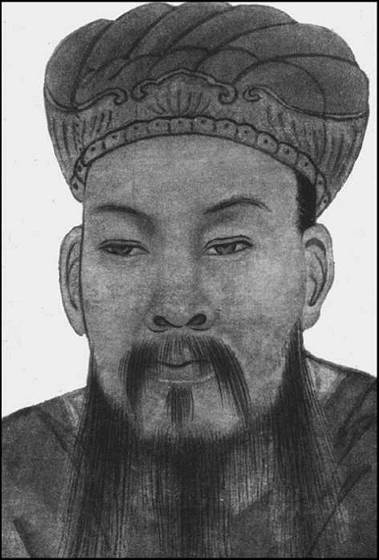 Unhappy with the disunity of the Chou regime, Confucius sought to restore the political harmony described in ancient texts, but he never achieved the elevated post within the Lu administration necessary to effect the changes he envisioned, which included tax reductions and peaceful interaction with neighboring states. Although his own political ambitions were thwarted—he may have served for a time in an insignificant position of a regional bureau—he was able to disseminate his views by teaching students, some of whom would become future leaders, about the principles he felt were necessary to influence the political scene of his time. Teaching Career. Confucius never claimed to have divine revelations. He was not born, he declared, with knowledge, but was fond of antiquity, and earnest in seeking knowledge there. Somewhere around the age of thirty, Confucius began his teaching career. Using an informal, discursive teaching style, Confucius became extremely popular with his students. Although one can only guess what the students studied, undoubtedly they received instruction in ritual, music, history, and poetry. In 518 BCE Confucius is reported to have met the famous teacher Lao Tzu, who supposedly criticized Confucius for his stuffiness and arrogance. Confucius thought that basic teaching should be uncomplicated. In fact, much of his philosophy is the result of logical deduction, reasoning, and inference. In its historical setting, The Analects reveals essentially simple ideas: a vision of a cooperative world; the conviction that antagonism and suspicion, strife and suffering, were largely unnecessary; a profound faith that people’s true interests did not conflict but complemented each other. Travels. In the eyes of Confucius, China was drifting on a sea of storms ‘‘to hideous ruin and combustion.’’ His solution was to gather and preserve the records of antiquity, illustrating and augmenting them with his own teachings. With such intent, Confucius lectured his disciples on the histories, poems, and constitutional works of the nation. Around 498 BCE, Confucius, accompanied by several of his disciples, left Lu and embarked on a journey through eastern China. As they wandered throughout the states of Wei, Sung, and Ch’en, their lives were threatened more than once. For instance, Confucius was almost assassinated in Sung. On another occasion, he was mistaken for the adventurer Yang Hu and was arrested and held until his true identity was learned. For the most part, Confucius was received with great respect by the rulers of the states he visited, perhaps even receiving occasional payments from them. Later Years. In 484 BCE Confucius was invited back to Lu. While he was warmly received there, it does not appear that he was given a position of political power. Confucius’s favorite disciple, Yen Hui, died the very year of his return to Lu, and in 480 BCE another disciple, Tzu-lu, was killed in battle. Also during this period in his life, Confucius’s only child died. Confucius felt all of these losses deeply, and his sadness and frustration must have been intensified by the realization that his political ideas had found no support among the rulers of his own state. Confucius died in 479 BCE. Pythagoras (c. 572-c. 490 BCE): The famous theorem of this Greek mathematician is still the cornerstone of modern geometry. Cyrus The Great (c. 576-c. 429 BCE): Cyrus the Great founded the ancient Persian Empire and expanded its borders to include large portions of Asia. Zoroaster (c. sixth or seventh century BCE) Zoroastrianism, the religion born from the teachings of Zoroaster, a Persian, had a major impact on the early teachings of Christianity. Xenophanes (570-480 BCE): This Greek poet and philosopher is perhaps best known for suggesting that human beings fashion their gods after their own images. In all likelihood, Confucius’s philosophies were documented by his disciples and distributed after his death. Confucius, like Buddha, Socrates, and Jesus Christ, made a reputation for himself as an instructor while he was alive, and, like these thinkers, he felt it unnecessary to preserve his own words. Despite his lack of literary production, however, Confucius’s influence on future generations of thinkers was tremendous. Because of this, a look at his work in literary context necessitates a description of the evolution of the importance of Confucianism through the years. Confucianism Through the Years. Considered by some as philosophy and others as religion, Confucianism has undergone a complex evolution since the death of its namesake. The first important thinker to expand upon Confucius’s work was Meng-tzu, better known by his Latinized name, Mencius. Active during the fourth century BCE, Mencius, like Confucius, was a teacher and counselor. In the collection of his teachings, Mencius furthered the concept of Jen, roughly meaning ‘‘good,’’ arguing that the potential for exemplifying such an honorable trait exists in every human being. In direct contrast, the teachings of Hsun-tzu, a prominent Confucian thinker of the third century BCE, stressed the evil nature of humanity. For Hsun-tzu, Li functions to suppress selfish instincts. Subsequent philosophers of the ancient world incorporated mystical schemes, numerology, and aspects of Taoism into traditional Confucian thought. Although the resulting philosophy was in many ways a diluted and contradictory imitation of Confucianism, it was during this period that Confucianism gained widespread prominence. It became the official state religion of China in the second centuryBCE and eventually spread to other Asian nations. Wang Ch’ung, a logician of the first century CE, is credited with eliminating the mystical and supernatural elements of Confucianism. It was also during the first century that, after several competing versions circulated, the standard text of The Analects emerged. Although scholars question its reliability as the direct transcription of Confucius’s sayings, the work is nonetheless acknowledged as the best possible summation of his thought. The Analects is composed of twenty books, each made up of aphorisms, questions, and notes attributed to Confucius and twenty of his disciples, most notably Master Tseng, who is credited with twelve sayings of his own; Jan Ch’iu, who became a lieutenant in the powerful Chi Family; and Tzu-kung, who became a prominent diplomat. Most of the first millennium CE is regarded as a period of relative dwindling of Confucianism’s influence in China, a time during which Taoism and Buddhism flourished. Neo-Confucianism arose in the eleventh century largely owing to the scholarship of Chu Hsi, whose historical writings focused on what are now known as ‘‘Classical Confucian’’ texts, thirteen works of ancient origin that address a wide range of topics pertaining to Confucianism. Chu Hsi also explored the metaphysical side of Confucianism, engineering a path to spiritual enlightenment that has been viewed as a response to the challenge posed by Buddhism. During the seventeenth century, a second wave of Neo-Confucianism arose; comparable to the earlier efforts of Wang Ch’ung, its aim was to reestablish the original intent of The Analects. Twentieth-Century Influence. The influx of Western civilization into twentieth-century China considerably altered the nation’s political, cultural, and philosophical traditions. When Sun Yat-Sen founded the Chinese Republic in 1912, he advocated a form of statesmanship balanced between Confucian values and pragmatic methodology learned from the West. Mao Tse-Tung’s organization of the People’s Republic of China in 1949, however, neglected Confucius in favor of Marxist ideology, effectively removing the Confucian tradition from political discourse, although its principles survive in literature and philosophy. New Testament (c. first century CE), testimony by the disciples of Jesus Christ. Although the authors of the New Testament cannot be definitely determined, it is clear that the text is a collection of writings elucidating the teachings of Jesus Christ. The Republic (c. 360 BCE), a philosophical treatise by Plato. In this text, Plato outlines much of the political theory of his teacher, Socrates. Cloud Atlas (2004), a novel by David Mitchell. In this work, an aspiring composer studying under his aging hero realizes that his master has lost his genius. In some ways, it is difficult to separate critical response to Confucius from the literary tradition in which it is classified because the literary tradition—including the political and social impact of Confucianism—forms a kind of critical response to the text. A great deal of modern scholarship has focused on the clarification of three main principles: Jen, Tao, and Li. The meaning of each term has engendered a multitude of interpretations, resulting in diverse readings of Confucius. Further scholarship has attempted to discern how much of The Analects is from Confucius and how much belongs to his disciples. Today, Confucius’s work—no matter how one interprets its principles or speculates its origins—is considered a valuable and complex philosophical collection of ideas rivaling those of Socrates and Buddha. The Three Principles. Alternately translated as ‘‘good,’’ ‘‘love,’’ and ‘‘reciprocity,’’ Jen is more particularly, according to Arthur Waley, ‘‘a sublime moral attitude, transcendental perfection attained to by legendary heroes..., but not by any living or historical person.’’ This opinion contradicts the belief often espoused by earlier scholars that all humans are endowed with Jen. Tao, translated as ‘‘the way,’’ had been used before Confucius to describe both positive and negative ways of doing things. Confucius’s innovation, according to H. G. Creel, was to recast the word as ‘‘the way... that individuals, states, and the world should conduct themselves and be conducted.’’ Taoism, the philosophical school based upon the Tao te Ching of Lao Tzu—who may have been a contemporary of Confucius—provides a similar interpretation of the term, albeit in a more mystical and personal context. Scholar Benjamin I. Schwartz defines Li as ‘‘all those ‘objective’ prescriptions of behavior, whether involving rite, ceremony, manners, or general deportment, that bind human beings and the spirits together in networks of interacting roles within the family, within human society, and with the numinous realm beyond.’’ Historically, the discipline required strict adherence to Li and inspired some political leaders to impose dictatorial rule on their subjects in the name of Confucius, despite the contention of scholars that a state designed to serve the people is one of Confucianism’s central tenets. The Analects: Whose Are They, Anyway? As in the case of the Gautama Buddha and Socrates, it is not easy to separate the founder’s vision from the interpretations of his disciples. The group of statements attributed to Confucius in literature of the centuries following his death is large but often suspect, and The Analects remains the focus of fierce controversy. Compiled long after Confucius’s death, the work contains not only the Master’s aphorisms, but also those from his disciples. Of the twenty ‘‘books’’ now in existence, linguistic analysis indicates that some may belong to a much later period. Waley and others find many passages which they call non- Confucian and even anti-Confucian. In his view, examinations of how language relates to reality must be later additions, since the ‘‘language crisis’’ in ancient China belongs to a much later development of thought. Tsuda Sokichi, a radical and iconoclastic critic of The Analects, finds the work so permeated with contradictions and anachronisms that he believes it is unusable as a source for the thought of Confucius. 1. Read The Analects. Based on your reading, what do you think the Jen, Tao, and Li are all about? What does Confucius have to say about each? Support your response with some passages from the text. 2. Confucius was essentially a political thinker. After having read The Analects, how do you think Confucius would seek to change the world in which you live? For example, would Confucius advocate ‘‘going green’’? Write at least ten of your own aphorisms for society today. 3. Confucius, Buddha, and Zoroaster, according to the traditional dates of these figures, all lived at the same time and all founded philosophical movements that have been transformed into religions. Why do you think that the sixth century BCE was such a fertile time for the founding of religions? Research the peoples and cultures of that time to help you formulate your response. 4. The thoughts of Confucius himself remain unclear because he never actually wrote them down. Instead, what we know of Confucius’s teaching is gathered from what his students told about him and his life. Imagine someone has decided to collect your thoughts in a book similar to The Analects. What would this book say? What are your basic principles of living and thinking? Dawson, Raymond. Confucius. New York: Hill & Wang, 1981. Fingarette, Herbert. Confucius: The Secular and the Sacred. New York: Harper and Row, 1972. Smith, Howard D. Confucius. London: Temple Smith, 1973. Schwartz, Benjamin I. The World of Thought in Ancient China. Cambridge, Mass. : Belknap Press, 1985. Wilhelm, Richard. Confucius and Confucianism. Whitefish, Mont. : Kessinger Publishing, 1931. Wu-chi, Lui. Confucius, His Life and Time. New York: Philosophical Library, 1955.